You have questions about your eCozy thermostat or want to know more? Then you are right here! What is a eCozy thermostat? eCozy easily can be attached to the water radiator just like a conventional radiator thermostat. But apart from that, eCozy is not an ordinary heating thermostat – because eCozy is equipped with a ZigBee protocol and can be controlled via the eCozy app from anywhere in the world! How many eCozy thermostats do I need for my home? Can several people control thermostats from different devices? How do I find my eCozy thermostat model number? An example of a model number - 057_70B3D5DE000001C0_20160121. It is located in the battery compartment. Please remove back case of a thermostat and check for the model number in the middle of the battery compartment. How does it work if there is more than one thermostat in the room? You can add one or more eCozy thermostats (maximum up to 5 devices per room (thermostats, thermosensors)) to the room, which means that they all will work synchronously. You do not have to control every single eCozy thermostat individually; eCozy thermostats in one room become a single unit. How long does the battery in eCozy thermostat last? Depends on the usage of manual changes directly on the thermostat, how often display turns on, but overall up to two years between the changes. How many batteries should be placed in eCozy thermostat? Thermostat can work with 2 batteries, however, for the complete operational efficiency, we strongly recommend to use all 4 batteries. Is it possible to use rechargeable batteries? We highly recommend to use only alkaline batteries without recharge. What do the colors on eCozy thermostat display mean? eCozy thermostat is equipped with colored OLED display. Green – target temperature is +/- 1 degree from actual temperature. eCozy thermostat is in a state of standby. Red – target temperature is higher than actual temperature. eCozy thermostat is in a state of heating up. Blue – target temperature is lower than actual temperature. eCozy thermostat is in a state of cooling down. What is ‘open window’ feature? eCozy thermostat can recognize when room is ventilated. At that moment, eCozy thermostat will be in a state of standby and indicate an ‘open window’ sign on the display. Once window is closed, eCozy thermostat will continue operating normally. You can forcefully disable ‘open window’ mode by placing a finger at the bottom part of the eCozy thermostat display until ‘open window’ icon is faded. What is the range or distance of the ZigBee signal in my eCozy thermostat? The range or distance of the ZigBee signal is determined by the location of your eCozy Central Unit and eCozy thermostat. The closer they are to each other, the stronger the signal is. On average, the range is approximately 10-20 meters within the walls. How do I install my eCozy thermostat on a Danfoss RA valve? You must use a special adapter in this case for the Danfoss RA valve. This is included in the eCozy thermostat set. Simply connect it with the valve and install your eCozy thermostat on top of it. How do I install my eCozy thermostat on a Danfoss RAV valve? You must use a special adapter in this case for the Danfoss RAV valve. This is included in the eCozy thermostat set. Simply connect it with the valve and install your eCozy thermostat on top. How do I install my eCozy thermostat on a Danfoss RAVL valve? You must use a special adapter in this case for the Danfoss RAVL valve. This is included in the eCozy thermostat set. Simply connect it with the valve and install your eCozy thermostat on top of it. How do I connect my eCozy thermostat to my eCozy System? 1) Simultaneous touch and hold for > 3 sec. the buttons «Touch up» and «Touch down». Display will show a blue antenna. It means that the process of the device connecting to ZigBee network is on. 2) In eCozy App press on the button “add thermostat” to initiate device connection in ZigBee network. 3) If thermostat connection to ZigBee network was successful, then in 5-7 seconds the display will show a green color antenna. It means that the synchronization has occurred and thermostat is fully ready to work. 4) If after synchronization thermostat does not receive any command, then it maintains a room temperature +20 ̊С by default. This is “By Default” mode, which is active only at the moment of thermostat connection to ZigBee network until the first incoming command. 5) If synchronization has failed, the display will show a red color antenna for 3-4 seconds. In such case the procedure should be repeated from the very beginning. 6) Every next thermostat is connected according to the given above procedure. How do I emergency remove eCozy thermostat from the water heating radiator? Emergency remove of eCozy thermostat is designed for emergency situations. You must use it in case you are not able to do so through the eCozy App. To emergency dismount thermostat from a radiator it should be transferred to a special «Dismounting Mode». You must always activate this mode if you want to dismount thermostat from a radiator. Thermostat could be damaged if the valve piston rod is in a wrong position during dismounting. 1) Touch and hold simultaneously the buttons «Touch up» and «Touch down» before thermostat display shows the yellow wrench key. This is a warning symbol of thermostat transferring to «Dismounting Mode». If on this stage you release a sensor buttons, then the «Dismounting Mode» will not be initiated. 2) With further holding down the buttons, «Touch up» and «Touch down» the thermostat display will show the green wrench key. It means that the command is accepted for accomplishment and the sensor buttons could be released. It means that the process of the thermostat valve piston rod shifting to maximum uplifted (retracted) position is on. And the process of ZigBee radio channel disconnection is on. 3) After the process is finished, the indicator will fade. It means that the thermostat is removed from the system and could be dismounted from the radiator. How do I install the batteries into the thermostat? 1) Remove a battery compartment cover and set four AA-type batteries with respecting polarities. 2) If the batteries are installed correctly, the thermostat indicator will display a green wrench key for a short time, which means that the valve piston rod moves to the extreme far position from the valve and after the icon is faded, the thermostat could be mounted on a radiator and can be connected to ZigBee network. 3) Connect the battery compartment cover back to the thermostat. How do you mount eCozy thermostat on a water heating radiator with M30x1.5 valve? In order to mount an eCozy thermostat, simply take a thermostat, place it in front of the mounting valve (a metal piece pointing out from the radiator) so that the screen of a thermostat is pointing up. Attach eCozy thermostat to the valve with a connector ring and spin it until eCozy thermostat is firmly attached to the valve. When do I mantle my eCozy thermostat? Green wrench key must be shown on the display for several seconds, indicating that the thermostat is ready to be installed on the water heating radiator. What systems is eCozy compatible with? eCozy is compatible with ZigBee home automation profile 1.2, and can therefore, opreate with smart home platforms like Qivicon or Almond. How do I change the temperature on the thermostat? Your eCozy thermostat is controlled via its touch screen. Place and hold "Touch down" on the screen and you will activate it. Temperature increases by "Touch right" and decreases by "Touch left" on the screen. How can I check the temperature directly from the eCozy thermostat? The thermostat control is executed with the help of sensor buttons «Touch right, touch left, touch up and touch down», located on a capacitive touch screen panel. Touch down – the display is activated (in a usual condition the Thermostat display is inactive). 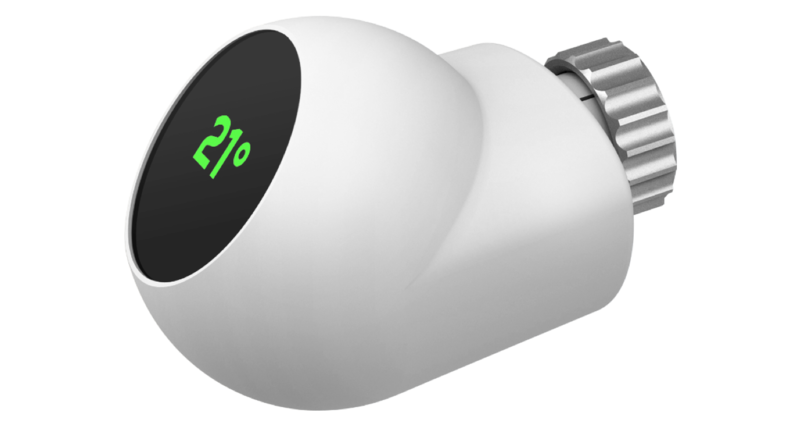 Simply place finger at the bottom part of the eCozy thermostat display until temperature appears. How do I remove eCozy thermostat from the water heating radiator? To dismount thermostat from a radiator it should be transferred to a special «Dismounting Mode». You must always activate this mode if you want to dismount thermostat from a radiator. Thermostat could be damaged if the valve piston rod is in a wrong position during dismounting. Green wrench key will appear on the display of the Thermostat. It means that the process of the thermostat valve piston rod shifting to maximum uplifted (retracted) position is on. And the process of ZigBee radio channel disconnection is on. After the process is finished, the indicator will fade. Meaning that the thermostat could be dismounted from the radiator. How can I reset my eCozy thermostat? Just delete the thermostat(s) from the eCozy app and remove the batteries for a minute. Then insert the batteries again and connect from new (first setup). How do you change batteries in eCozy thermostat? eCozy thermostat is equipped with patented feature ‘turn over’ of the thermostat without the need to take it off from a water heating radiator. Turn over eCozy thermostat clockwise/anti-clockwise. Remove a battery compartment cover. Remove old AA-type batteries and instal new AA-type batteries with respecting polarities. Connect the battery compartment cover to the eCozy thermostat housing. I don't know why, but suddenly my thermostat display have stopped working. What should I do? Thermostat display could have stopped working due to the enabled lock in settings of your application. Try to change your settings. If that is not the case, remove the batteries for one minute and install them back. I own an eCozy thermostat, but it isn't connected to the system. What do I do? You need an eCozy Central Unit to operate eCozy thermostats. In case you use thermostats as integration into other system, connect them to that system. The thermostat produces a loud sound after inserting batteries. Why? What should I do? After installing batteries into thermostat for the first time, thermostat will push the valve into the most extreme in position. In case valve was in the extreme in position, valve motor will make a louder sound, due to the fact that it is not able to push valve any further. This is a standard procedure. In normal operational conditions, thermostat is almost noiseless. What should I do If I cannot attach eCozy thermostat with valve? The problem might be that you are trying to instal eCozy thermostat on a Danfoss valve. In such case, you have to use one of the Danfoss adaptors which come in the set with every eCozy thermostat. Try using one of three adapters that came with the thermostat on a particular valve, and then place thermostat on top of adaptor.